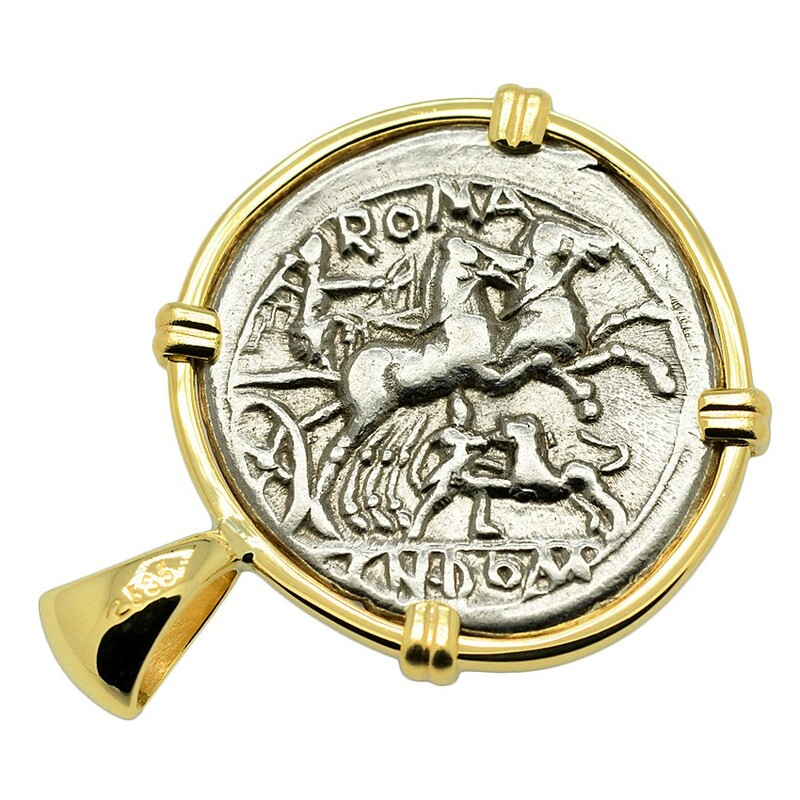 This hand struck denarius coin was minted in Rome by moneyer Cn. Domitius Ahenobarbus in 128 BC. The obverse of this Roman Republic coin shows the head of Roma wearing a decorated helmet with a grain ear to the left. In traditional Roman religion, Roma was a female deity who personified the city of Rome and more broadly, the glory that was the Roman Republic. In the city of Rome itself, the Romans paid tribute to Roma at the Temple of Venus and Roma. This was the largest temple in the city, located near the Colosseum and dedicated to inaugurate the festival of Romaea in Roma's honor. The temple contained the seated, Hellenised image of Roma - the Palladium in her right hand symbolized Rome's eternity. Her image also appears on the base of the column of Antoninus Pius which can still be seen today in Rome. On the reverse side of this denarius coin, Victoria is depicted holding the reins and a whip while driving a fast 2 horse chariot known as a biga. Victoria, the personification of Victory, was 'borrowed' from the Greeks, as she was the Roman equivalent of Nike. 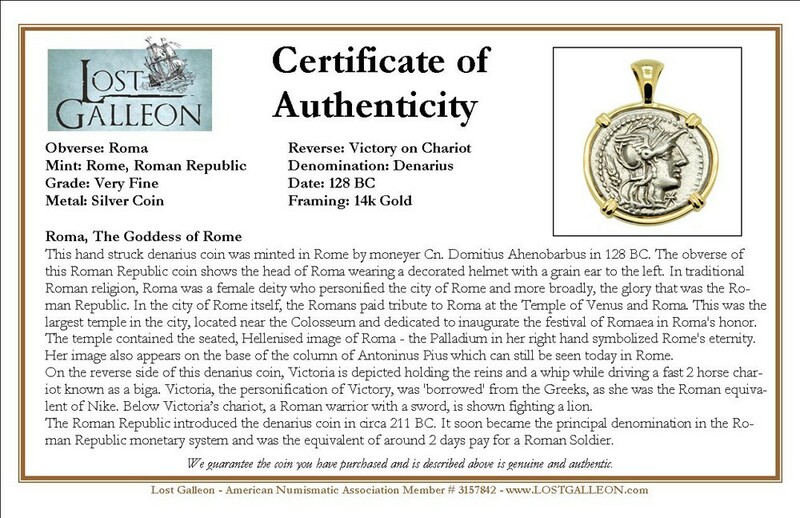 Below Victoria’s chariot, a Roman warrior with a sword, is shown fighting a lion. 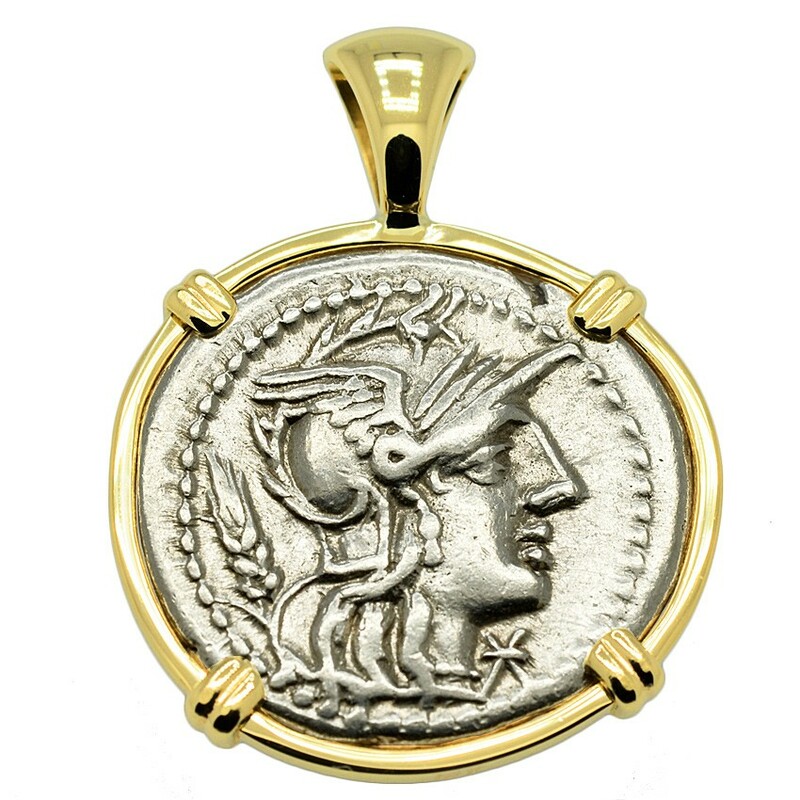 The Roman Republic introduced the denarius coin in circa 211 BC. 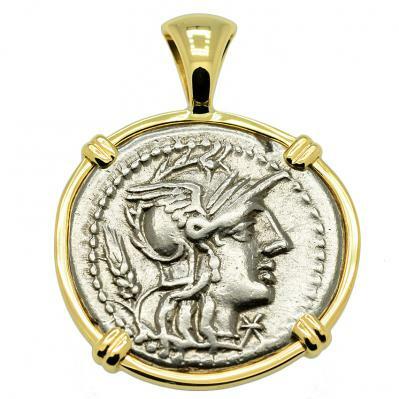 It soon became the principal denomination in the Roman Republic monetary system and was the equivalent of around 2 days pay for a Roman Soldier.